Life Science Dictionary Tool- A dictionary tool to look up words on web pages and research papers! Useful for phrases too! Firefox free-addon. The installation has been completed! Please see the following usage. With Life Science Dictionary Tool, you can save the trouble of looking up unknown English words. Please try hovering the mouse over the following sentences after the installation is complete. The cytoplasm contains the protein filaments that construct the cytoskeleton, as well as soluble proteins and small structures such as ribosomes, proteasomes, and the mysterious vault complexes. It will immediately pop up the meaning and related information when hovering the mouse over a word. To disable the function of Life Science Dictionary Tool, please click "LSD(L)" on the Firefox menu and uncheck "LSD". You can set to enable the pop-up only when pressing keys. The setting way is as follows. 1) Click "LSD(L)" on the Firefox menu and check "LSD". 2) Select "LSD(L)" > "Setting..." to open the setting screen. 3) Check "Key combination for dictionary search" and specify keys. In case of above setting, translation operates when pressing "Ctrl/Command" key, "Alt/Option" and "D" key. 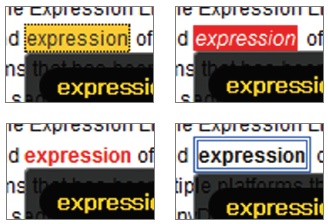 When hovering the mouse over a word, the word will be highlighted and the meanings will pop-up. You can change highlight color and style at the "Marker Style Setting" field on the setting screen. You can change the settings of Life Science Dictionary Tool for your convenience. Click "LSD(L)" on the Firefox menu and click "Setting..." to open the setting screen. You can set to display a translation with one key. In case of above setting, translation operates when pressing only "Shift" key. * It might not work on specific OS. Please try and use it.